I am currently in Tokyo Japan. Its just amazing what happened. Hama’s TV show for children. While I report on news and events typically, I like to also link you all to some of the articles directly. However, I saw a video that was … well, it is the worst produced TV show I have ever seen. What’s wrong with SpongeBob? Obviously, these people are trying. However, maybe the ‘bee’ should have ‘bee’ feet and not sneakers. Other than that, well, I can’t say anything really positive about it, so please, decide for yourself. Florida Pastor is going to burn the Koran on Sept. 11th. A 50-member church in Gainesville, Florida is suddenly front and center in the war on terror. The pastor’s plan to burn copies of the Koran on the anniversary of 9-11 has stirred intense reaction. Today in Kabul, hundreds gathered to protest. Getting a jump on things, they burned an effigy of the Pastor Terry Jones. The protest in Kabul today might be a foreshadowing. Even so, the Pastor Jones and his congregants at the Dove World Outreach center plan to follow through with their plan despite the plea from Gen. Petraeus. George, are you launching another website aimed at the Tea Party? You shouldn’t have, really. George Soros has done it again folks! “Soros and the foundation left have launched a website designed to go after the growing Tea Party movement. Teapartytracker.org will post video interviews and blog entries gathered by folks on the false left who never grow weary of demonstrating their outrage over the very idea of a grassroots political effort overthrowing establishment Democrats and Republicans in the district of corporate criminals. 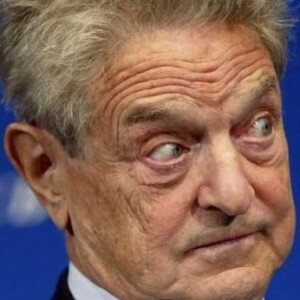 George Soros is desperate to trash the Tea Party. Teapartytracker.org will be sponsored by the NAACP, Think Progress, New Left Media and Media Matters for America. Think Progress is a George Soros operation connected to John Podesta’s Center for American Progress. Podesta is Clinton’s former chief of staff. Media Matters for America is the brainchild of a MoveOn consultant and Podesta’s Center for American Progress. Soros is a major supporter of MoveOn. Internal administration documents reveal that up to 51% of employers may have to relinquish their current health care coverage because of ObamaCare. Small firms will be even likelier to lose existing plans. The “midrange estimate is that 66% of small employer plans and 45% of large employer plans will relinquish their grandfathered status by the end of 2013,” according to the document. In the worst-case scenario, 69% of employers — 80% of smaller firms — would lose that status, exposing them to far more provisions under the new health law. The 83-page document, a joint project of the departments of Health and Human Services, Labor and the IRS, examines the effects that ObamaCare’s regulations would have on existing, or “grandfathered,” employer-based health care plans. Draft copies of the document were reportedly leaked to House Republicans during the week and began circulating Friday morning. Rep. Bill Posey, R-Fla., posted it on his Web site Friday afternoon. “It’s been passed around the staffs here on Capitol Hill. Congressman Posey thought it was important enough to share,” said spokesman George Cecala. “The president promised repeatedly that people who like their current plans can keep them, but now the details of their plan actually confirm what many suspected all along, most Americans will lose their current health care plan,” Posey said. It’s unclear how the document leaked out. An HHS spokeswoman confirmed that the department was working on a draft paper about grandfathered plans but said it hasn’t been made public yet. A House Republican staffer said the rumor was that the document had been erroneously posted on the Office of Management and Budget Web site earlier in the week and somebody spotted it before it was taken down. IBD has not been able to confirm this report. The targets lie as far as 1,400 miles (2,250km) from Israel; the outer limits of their bombers’ range, even with aerial refuelling. An open corridor across northern Saudi Arabia would significantly shorten the distance. An airstrike would involve multiple waves of bombers, possibly crossing Jordan, northern Saudi Arabia and Iraq. Aircraft attacking Bushehr, on the Gulf coast, could swing beneath Kuwait to strike from the southwest. Passing over Iraq would require at least tacit agreement to the raid from Washington. So far, the Obama Administration has refused to give its approval as it pursues a diplomatic solution to curbing Iran’s nuclear ambitions. Military analysts say Israel has held back only because of this failure to secure consensus from America and Arab states. Military analysts doubt that an airstrike alone would be sufficient to knock out the key nuclear facilities, which are heavily fortified and deep underground or within mountains. However, if the latest sanctions prove ineffective the pressure from the Israelis on Washington to approve military action will intensify. Iran vowed to continue enriching uranium after the UN Security Council imposed its toughest sanctions yet in an effort to halt the Islamic Republic’s nuclear programme, which Tehran claims is intended for civil energy purposes only. President Ahmadinejad has described the UN resolution as “a used handkerchief, which should be thrown in the dustbin”. In 2007 Israel was reported to have used Turkish air space to attack a suspected nuclear reactor being built by Iran’s main regional ally, Syria. Although Turkey publicly protested against the “violation” of its air space, it is thought to have turned a blind eye in what many saw as a dry run for a strike on Iran’s far more substantial — and better-defended — nuclear sites.